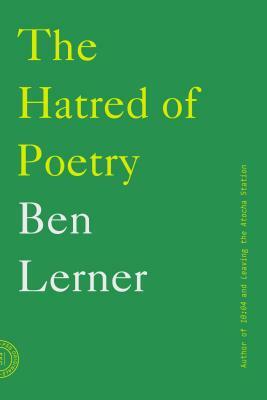 "Ben Lerner is a novelist, poetry, and critic exploring the contemporary relevance of art and the artist to modern culture with humor, compassion, and intelligence . . . Lerner makes seamless shifts between fiction and nonfiction, prose and lyric verse, memoir and cultural criticism, conveying the way in which politics, art, and economics intertwine with everyday experience." “What is 10:04 by Ben Lerner? It is a book for people who like great writing--"great," here, meaning frequently brilliant, electrically hyper-conscious, extravagantly verbose, aggressively sesquipedalian throw-the-book-across-the-room-in-despair-that-you-will-never-invent-that-metaphor-because-he-just-did writing . . . Nothing much happens, except for writing. But let me tell you: The writing happens.” —Derek Thompson, The Atlantic, "Best Book I Read This Year"